The professionals at FRSCPA have developed a unique practice area. For close to thirty years, the firm has been providing accounting, tax and consulting services to owner/operators who own McDonald’s franchises. Currently, the firm represents operators primarily in the Southeastern U.S. who own in excess of 600 restaurants. 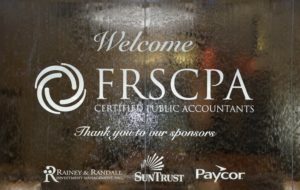 FRSCPA offers additional specialized services. Call us today for more information. Our dedicated staff members work hard each and every month to transmit your financials by the required deadline set forth by the corporation. We are a proactive firm helping owner/operators achieve success by providing sound advice, proper planning and strategies that can help you reach your goals! FRS provides timely and accurate p & l’s to its operators for a competitive monthly per store fee. Our monthly services include recording of financial transactions and accruals into General Ledger, bank reconciliations and electronic transmission of your p & l’s to McDonald’s Corporation. For more information please contact our home office at 800-457-1120. FRS provides the NFS ratios to our monthly clients upon request for a nominal fee. FRS knows the importance of these ratios and what they can mean relative to your cash flow and debt positions. Our staff will assist in helping you reach your goals by analyzing your company’s position and make the appropriate recommendations. Please contact your Team Captain at FRS for additional information. Maybe you want to sell a store or want to gift stock to your son or daughter. Perhaps you need estate planning, or are in the midst of buy/sell negotiations. In order to determine the value of your stores, your CPA will provide you with a valuation of your restaurant(s). Our experienced partners can assist you with these necessary tools that can help determine the worth of your business. For more information, please contact our home office for assistance. Often times, operators are presented with the option of new stores or rebuilds opportunities. As such, proformas are needed. FRS has experienced staff members who can provide you with assistance. We will go over the proformas with you and guide you in your decision making process. FRS places a high emphasis on tax planning for your benefit. Our goal is to minimize your taxes by taking a proactive approach. Each year, your Team Captain and their team work on tax projections for you to determine where you will stand by year-end and to make sure you are penalty proofed. We will determine if you need to pay additional tax to Federal and State taxing authorities prior to 12/31 in an effort to minimize your April 15th tax bill. Our close, personal attention to your business and tax situation is something we take very seriously. Thank you to everyone who attended our 3 day event in Orlando. It was not only informative but fun as well for all who attended. 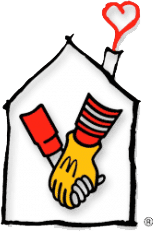 We also want to thank your sponsors Rainey & Randall, Paycor and Suntrust for participating as well, and for providing so much valuable and timely information to our McDonald’s Owner Operators. For some pictures of our event, please click on the image to the right.